Modern day cars are designed not only to look sleek and stylish, but also to be safe and comfortable. The safety features are intended for people both inside and outside of the car. Today’s automobiles are equipped with a ton of sensors for driver assistance. An upward trend in the car industry is the use of an increasing number of cameras in the car for safety purposes. Feeding the driver with more information about the surroundings is essential when backing up and pulling out of tight parking positions. Parking assistance cameras or rear view cameras are now mandatory in all new cars in the U.S. and Canada. They not only ensure safety, they also provide extra convenience when the parking pilot is activated. Many of the newer models also optionally offer a 360° bird’s eye panoramic view of the car. This is achieved with four cameras: 180° cameras are installed on the two side mirrors, and two other wide view cameras are mounted at the front and rear of the car. All these cameras and other additional entertainment modules are fed into the multimedia interface and the results are displayed on the infotainment screen. Another noticeable trend in the industry is the digitization of the dashboard display. The traditional analog gaugebased displays for the speedometer and other instrumentation are being replaced by an electronic instrument cluster, a.k.a. the digital dashboard. 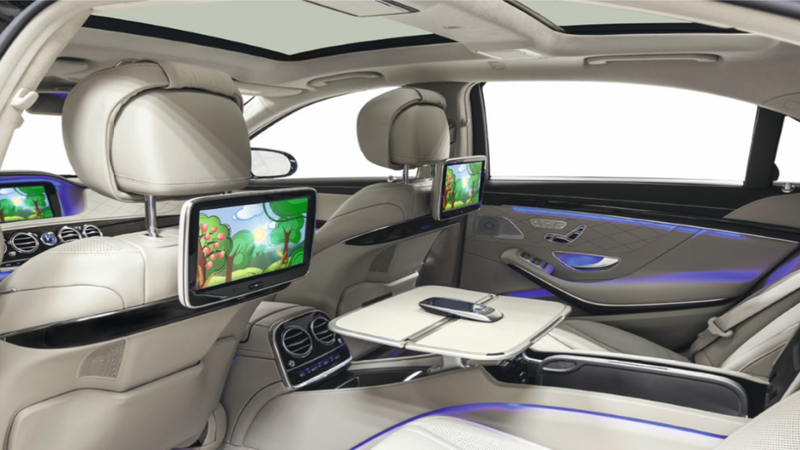 Infotainment head units are now running an increasing number of video-intensive applications. The manufacturers of such devices as well as OEMs need to make sure they perform properly. 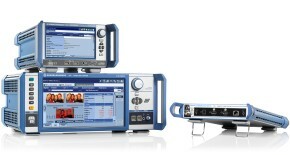 The R&S®VTE video tester is a test and measurement instrument that can generate and analyze digital video and audio signals. This makes the R&S®VTE a key piece of equipment for tackling in-vehicle interface, display and camera testing challenges. 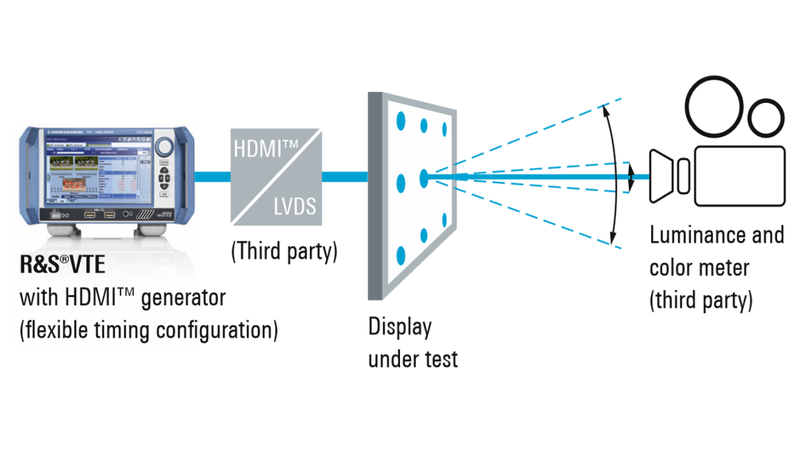 Other digital interfaces such as LVDS and DisplayPort can be accommodated using external signal converters that support HDMI™. This makes it possible to analyze the LVDS output, for example.